Based in GCG’s West Coast Operations center in Seattle, Jacqueline Brasefield has ten years of experience managing complex class action administrations. Ms. Brasefield specializes in consumer, antitrust, and employment litigation. 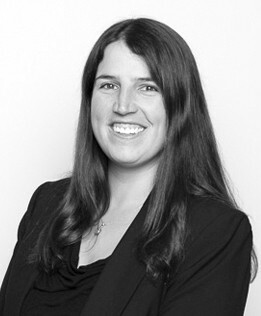 Known for her attention to detail, exceptional client service, and willingness to jump into anything asked of her, she is handling several of GCG’s larger administration projects, including the In re Processed Egg Products Antitrust Litigation and the In Re Polyurethane Foam Antitrust Litigation settlements. Over the past 10 years at GCG, Ms. Brasefield has overseen dozens of high-profile projects simultaneously for which she supervises each project’s operations staff and coordinates seamless communication between media, quality assurance, IT, finance, and customer service departments. She the congressional response team for the $20 billion Gulf Coast Claims Facility, and led an attorney team handling claims in the $10.3 billion BP Deepwater Horizon Settlement. Her work on these cases and others has enabled her to gain in-depth experience designing notice and communication programs, analyzing multifaceted data, and directing complex distribution programs.